Contemporary, streamlined shape and clean lines define this latest trend setting design. Dual layer, fibre topped foam inner cushion provides orthopaedic support and plush comfort. 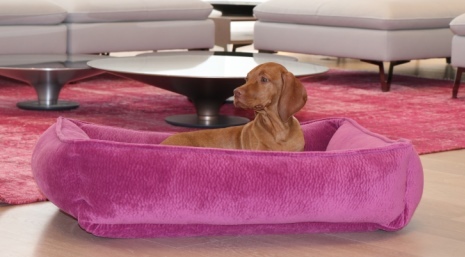 Unique one piece design - bottom cushion is secured (zippered) into the bottom of the bed, making this a great solution for dogs that tend to dig and chew removable cushions.